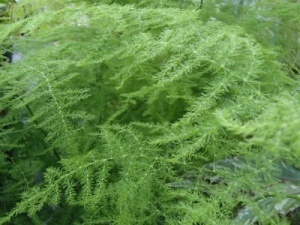 Very vigorous rather spiny climber clothed with long bright green flat "leaves" actually flattened pieces of stem. Small slightly scented white flowers may appear in summer, followed by red berries. This South African plant climbs rapidly by means of the sharp spines on its stems, and is often used in that country as an impenetrable barrier. 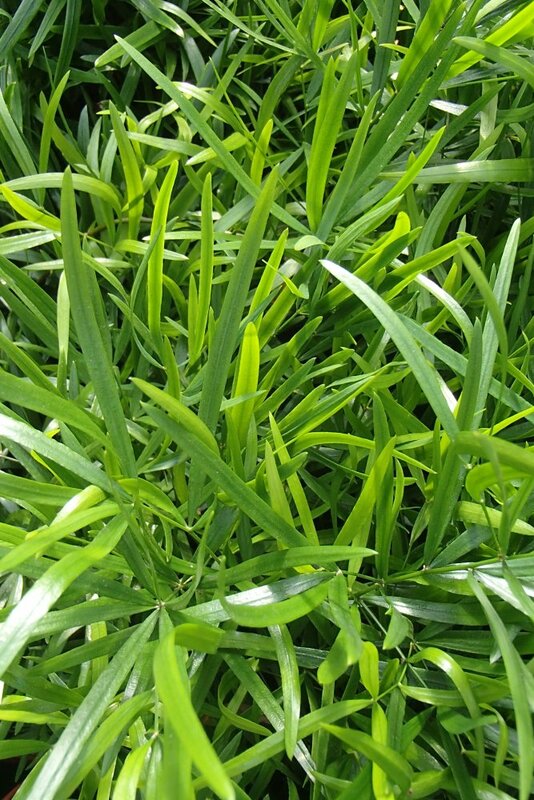 It is now a weed in Australia, but here it is not likely to be a problem as it is frost tender. Useful for covering a wall in a conservatory or other well-lit indoor area, or would look impressive tumbling over a balcony. Watering: Water more frequently in summer but allow the compost to dry out between waterings. Water sparingly in winter as they do not like sitting in very wet compost. Feeding: Asparagus do not need a great deal of feeding. Feed monthly in summer with a balanced liquid fertiliser such as liquid Growmore or seaweed extract. Do not feed in winter. Position: Asparagus need bright natural light but do not need to be in direct sunlight all the time. A position close to or on a windowsill will be fine. You may find a south facing windowsill will be too hot in summer. If plants appear to be suffering move them to a cooler position. Compost & Potting on: Use a loam based compost (John Innes No.2) and mix in a little grit for drainage. Potting on can be done if the plant has outgrown the pot and should only be done when the in active growth between Spring and Autumn in the UK. Once popular as a houseplant, this scrambling climber or trailer makes a mass of very fine foliage for a sunny position indoors, or in a frost-free greenhouse or conservatory.